After that weekend vacation last time, Kara might wish she had taken it after what happens this episode. The DEO finds that spaceship hidden in the water we’ve known about all season, and inside is a bearded Mon-El! Somehow he is surviving after that lead bomb was set off last season, which is concerning as well as his behavior, as he wants to return to the spaceship. Kara is just trying to understand what has happened to Mon-El since he vanished seven months ago, and it’s a doozy of a story. 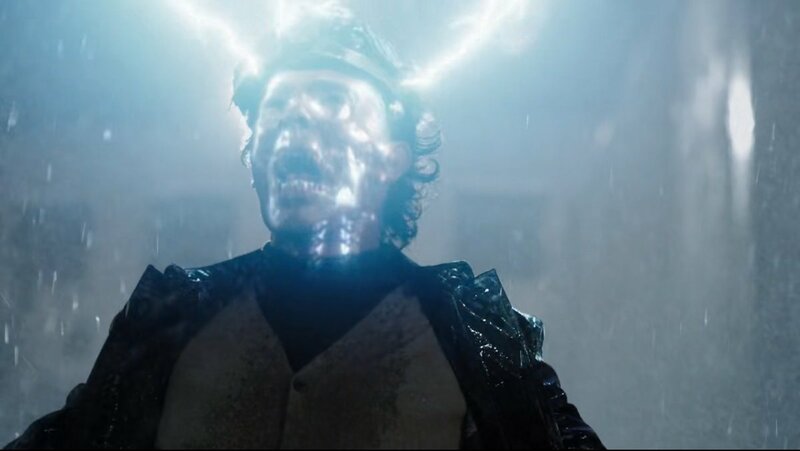 Well, when we last saw him, he got sucked into a vortex, but what we didn’t see is that it put him into the 31st century, and for seven (!) years, he was unable to go back to his time because future scientists only then could make him immune to the effects of the lead bomb on Earth. Somehow the ship landed 12,000 years early, he and the crew went in suspended animation, and…oh yeah, he has a wife that just got reanimated too! As super awkward as this whole thing is, at least J’Onn finally started to bond with his father and are gonna he roomies in the same apartment! Oh the hilarity that will likely occur! On the opposite end of hilarity, Samantha goes looking for answers to her bizarre superpowers by visiting her mom, who admits she came to her in a spaceship she still has in her barn. Sam finds a crystal, which beckons her to the middle of the desert, where it becomes a rock fortress (of solitude, perhaps?). But before you can say you’ve seen this happen somewhere, the holographic woman in this fortress tells Sam she will conquer this planet for Krypton, just before the clearly not cool with that Sam has her evil programming switched on! Oops. So her desert road trip ended with her discovering she’s a worldkiller. Could have gone worse. Could have been attacked by desert cannibal mutants. –It’s a novel idea that the reason Sam has not been switched on to this whole “Reign” stuff earlier is because she had a kid, which delayed the evil Kryptonian computer’s plans. Wonder how that “delay” is going to fare now? –Imra is likely Saturn Girl from the Legion of Super-Heroes, the big DCU superteam in the 31st century. A little more on her as it develops. But who are the other clearly Legion members on that ship? –“Shame on me for having a human heart.” Aw, man, why did you have to make Kara cry? Barry and Iris’ wedding is coming up soon, and what is Barry doing before that? Well, he’s investigating this mysterious adversary called “Devoe”, and it turns out to be a wheelchair bound professor named Clifford DeVoe. Clifford and his wife claim to not know anything about the metahumans that have sprung up this season, but Barry doesn’t believe that, and for good reason we discover in flashbacks. Clifford had the bad timing of experimenting with improving his brain power that got powered by the original particle accelerator blast. This caused an increased form of ALS to affect him, his increasing brain power basically consuming his body, but with the help of his tech savvy wife, he’s now able to delay the disease and become the world’s smartest man. Of course, Barry is not even close to that smart, and inadvertently plays into DeVoe’s game as he gets himself in trouble for investigating the seemingly innocent college professor. When a confrontation has DeVoe calmly reveal To Barry he knows who he is, it confirms his suspicions. Of course, there’s nothing they can do right now to take him down, but now they know they need to be ready for him to make his next move. But first things first, there’s a wedding to get ready for! The downside of wearing Apple’s future iHelmet. –To be honest, Barry is lucky he’s only suspended from his job. I mean, the guy vanished for several months and just got his job back like nothing? And he broke into a house without a mask on? He’s a really crap CSI now. –Oh come on, don’t stop, I really want to know who was Jack the Ripper! –Wally is back for the wedding, and after apparently facing a giant starfish from outer space! I smell an appearance on Legends of Tomorrow in the near future for Wally West. –That whole sequence of DeVoe getting put into his super chair was super creepy. Something about seeing the top of a man’s head taken off to expose his super brain is just disturbing. While Sara is still laid out from that battle last episode, the Legends decide they still have a job to do, and that takes them to solve an anachronism in 1967 Vietnam. 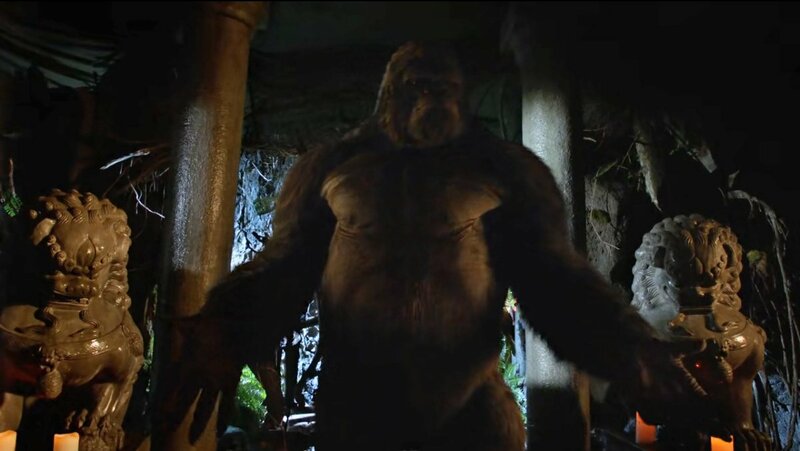 That takes them into the jungle where they find a few monsters: like Mick’s soldier dad and, oh yeah, Gorilla Grodd! Ol’ Grodd has set up his own little cult out there, brainwashing people into his thrall and likely planning to start World War III by having President Lyndon Johnson assassinated! Well, that’s even worse than Mick having to contend with seeing the dad he would later burn to death. As this is going on, Stein is still trying to figure how to split up Firestorm, but every successful way to do it would leave both without that power. Jax realizes he needs to prove that he can be without Firestorm by saving the President on his own. And Grodd ends up trying to steal the Waverider for himself, and seems to end up falling (to his death?) into an air strike by the U.S. military. But leave it to Damien Darhk to recover Grodd for Mallus’ evil schemes. –Jax’s reward for saving LBJ? He gets the First Lady’s secret pie recipe. –Sara wakes up from her coma to be possessed by Grodd and then get knocked out by Isaac Newton. That was her day. –Also, Stein’s council of timesnatched geniuses seems to be helpful. Not good at keeping away from someone’s pecan pies though. 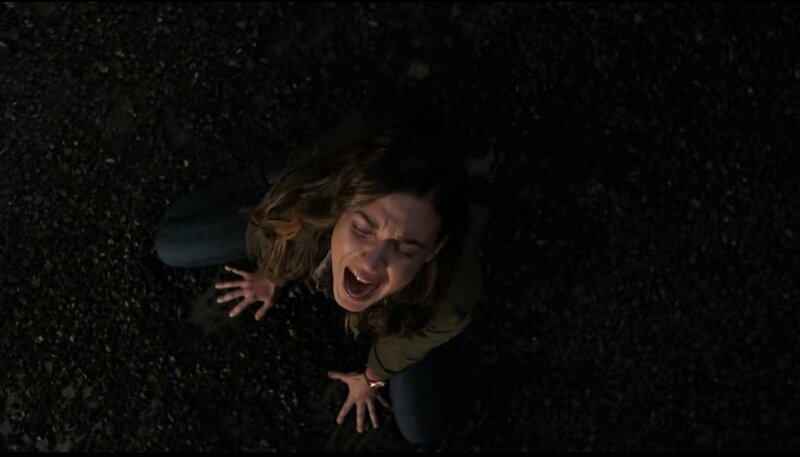 NEXT TIME: Everyone is involved in a Crisis on Earth X! ← DC TV Recap Round-Up, Week 6: The Danvers Sisters Mysteries!